Once the hub of Kylesmorar, this traditionally styled white-washed cottage has been completely renovated and tastefully furnished. 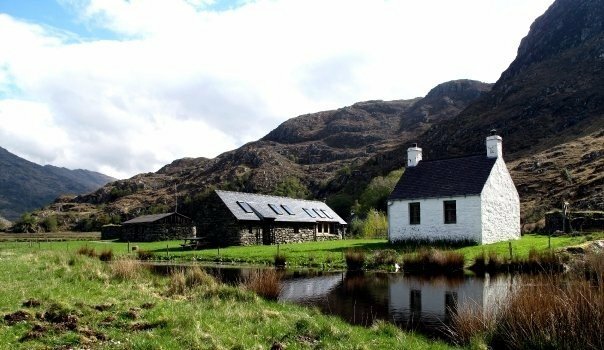 With uninterrupted views over Loch Nevis to the Cuillins of Skye, the Old Post Office now offers extremely comfortable accommodation for five. The front hallway opens into a spacious sitting room with exposed beams and stone walls. A sofa and armchairs are arranged in front of the log burning stove. The sitting room opens into a farmhouse style kitchen/dining room with large pine table (able to seat up to eight), oil fired stove, fitted wall units and freestanding pine dressers, gas hob and oven, and fridge freezer. There is ample crockery and cutlery for up to eight. Upstairs, a double bedroom and a twin bedroom look out to sea allowing you to wake and see the sunrise over Loch Nevis. Both bedrooms are individually furnished to a high standard. There is a fold-down single bed above the staircase for a fifth person. The shower room is wood panelled and has a mains powered shower.